Intellectual property (IP) can be the most precious asset of a business while likewise a liability if another’s IP ownership is not respected. What exactly is IP? It is the product of the human intellect that has commercial value. It can be in the form of an invention, written words (books, songs), designs, artwork, product names, processes, chemical formulas, and ideas. Intellectual Property Laws help owners of IP to control its use and thus its value. In the United States, this includes state and federal statutes, government regulations, and court decisions. These laws offer protection to the IP owner by giving them rights to file suit against those who are violating the right to ownership. Generally if someone is violating the IP rights of another, no action will be taken unless the owner of the property brings suit. Far too often IP ownership and liability exposures are overlooked by businesses. have any pending and/or issued patents, trademarks, or copyrights? hold sought-after technology on products and/or processes? have potential to be sued for infringement or sue for infringement of your IP? have any contractual obligations to indemnify against IP infringement? If you answer “yes” to any of the above questions, then IP protection is essential to your business operations. To better understand the broad scope of IP, following we examine the various types of IP and the numerous risks it can create for your business. Trade secrets consist of original, inventive ideas that you would need to keep secret from your competition. A trade secret is a design, idea, invention, formula, device, process, technique, etc. that is not generally known or ascertainable by the public. Think of Colonel Sanders and his famous Kentucky Fried Chicken “secret recipe”. For another example, two former Coca-Cola employees were sentenced to serve federal prison terms for conspiring to steal and sell trade secrets to rival Pepsi. Federal agents received 14 pages of documents marked “Classified – Confidential” and “Classified – High Restricted”. Coke officials confirmed the documents were tightly held trade secrets. As the market becomes more global, the need for a business to protect its IP becomes even more vital. What do the Coca-Cola bottle shape, Campbell’s soup label, and the red jacket of Merriam Webster’s New Collegiate Dictionary have in common? All three are examples of distinctive product packaging known as “Trade Dress”. A key element of a product’s personality, or brand image, is its packaging. Under trademark law, the total commercial image of a product is known as “trade dress”. Think of trade dress as the way in which the product is “dressed up” to present itself to the consumer. A trademark or servicemark incudes any word, phrase, symbol, or design that identifies and distinguishes the goods/services of one seller or provider from others. The US Patent and Tradmark Office (USPTO) allows individuals and businesses to officiallly register trademarks to protect them from being copied and used by others. A trademark must be distinctive and be well known through long use or advertising. For example, consumers identify “Nike” by its name and swoosh symbol; and the Pillsbury doughboy and the Coca-Cola bottle by their designs. A consumer recognizes a trademark by its symbol displayed as a small, raised “TM” beside the word, phrase, symbol, or design. The US Commerce department says that since the first trademark was registered in1870, nearly one million are being used today! Copyright protects an original artistic or literary work, including software, rather than the “idea” itself. Copyright covers authors, composers, artists, designers, programmers, and web designers. To protect a copyright, it should be registered with the U.S. Copyright office which allows the copyright owner to recover up to $100,000 without having to prove any actual monetary damage. The Copyright Extention Act of 1998 protects published works (after 1/1/78) for the life of author plus another 70 years! 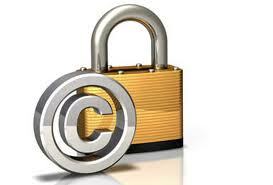 There are some other situations that make copyright protection last even longer – between 95 and 120 years. Utility – applies to new processes, machines, manufactures, composition of matter, or new uses of these if novel, useful, and “non-obvious”. This is protected for 20 years. Design – applies to unique and ornamental shapes or designs that are non-functional. This is protected for 14 years. Plant – applies to any asexually or sexually reproducable plant (i.e flower) that are novel and “unobvious”. This is protected for 20 years. A florist used Anheuser Busch’s trademarked slogan, This Bud’s for You®, as the name of their business. A court ruled that a slogan being used as a company name within two distinctly different industries had no likelihood of trademark confusion. The florist was allowed to keep the name. Blurring a trademark is to use a similar mark to one that is well known by the general public. Over time the trademark becomes blurred as to what it represents and loses its uniqueness. A Boston restaurant took the name Tiffany. A court ruled in favor of the New York jeweler,Tiffany®, even though there was no chance of confusion or competition. Unlike the above Anheuser Busch case, it was deemed that the trademark being used for two company names would dilute the trademark over time. A professor hired a document services company to make study booklets for his students with material he provided. The document service company made the booklets but also then made them available to anyone who wished to purchase. The company did not pay a fee to the university for the right to copy and make available for sale. The court considered their actions as not “fair use” and penalized the document service company. No Southern Comfort for you! A small motel used the name of a very popular liquor brand – Southern Comfort. The owners received legal notices from the national corporation that they were in violation of using their tradename. Fortunately the owners of the motel sold before they had to enter legal battles against the large corporation. A leading manufacturer (plaintiff) alleged trade dress infringement and unfair competition by the defendant who had a distribution agreement with the manufacturer. The defendant had terminated the distribution agreement and went into competition with the manufacturer (plaintiff). website and was believed to be selling manufacturer’s products as its own. manufacturer’s customers and offer products at a discounted rate. The parties agreed to arbitration, at which time the manufacturer’s attorneys immediately moved for an emergency order restraining the defendant from contacting any customers and to remove the catalog and pictures from the website. How exactly do insurance policies provide IP protection? The lawsuits involving IP are complex and require atttorneys with a very specialized knowledge making the litigation very expensive whether you are the defendant or the plaintiff. Policy language of standard general liability policy forms has been amended over the years to remove coverage for potential claims relating to IP. IP claims normally do not result in physical bodily injury or property damage which is required by general liability policies nor fit the definition of “advertising injury”. Copyright infringement of software or trademark infringement of meta tags is clearly excluded. A separate insurance policy can be purchased to defend against charges of IP infringement (Defense Insurance) and/or enforce IP rights against infringers (Enforcement Insurance). Defense insurance should be considered by all busineses that are making, using, selling, offering for sale, importing goods, or performing services in commerce. Enforcement is needed by businesses that have IP rights in the form of patents, trademarks, copyrights, or trade secrets.